Gaming smart phone enthusiasts knew this announcement was already coming. Leaked images and details hit the web several months ago. Sony even announced that the PlayStation Suite would be heading to Android at a press event earlier this year as well. 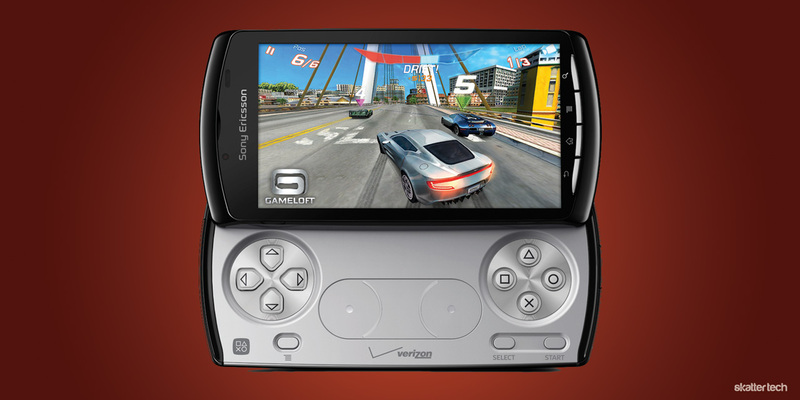 Sony Ericsson even gave away several hundred unlocked (GSM) Xperia PLAY units to developers at Google /O 2011 last week. Despite all the buzz even before an official announcement, Verizon Wireless finally stated that they will offer the device on their network later this month. The Xperia Play runs on a 1 GHz Qualcomm Snapdragon II processor along with a Adreno 205 GPU for better gaming. While many smart phones still run on the year-old Android 2.2 Froyo operating system, Sony Ericsson will surprisingly ship this device with Android 2.3 Gingerbread. We can only hope they will keep up this enthusiasm when it comes to delivering on the next version of Android, Ice Cream Sandwich, when it becomes available later this year. The Xperia Play specifically targets gamers with a PlayStation inspired directional keys, dual analog touch pads, L/R shoulder buttons, and the four symbols. The device will even come pre-loaded with Madden NFL 11 (EA Sports), Bruce Lee Dragon Warrior (Digital Legends), Asphalt 6: Adrenaline (Gameloft), The Sims 3 (EA), Star Battalion (Gameloft), Crash Bandicoot (Sony Playstation) and Tetris. Despite the unique gaming extras, this phone still stays in line with traditional Android devices. There are four standard home, menu, back, and search keys for navigation. Multitasking sounds easy with 512 MB of RAM although a dual-core processor would have also been nice. An internal storage capacity was not detailed, but there is microSD expansion. A four-inch capacitive display with a 480-by-854 pixels resolution seems like a reasonable size for a decent mix between portability and enough room for gaming. There is a 5 megapixel camera and even a complementary front-facing one for video chat. A mobile hotspot feature lets up to five WiFi enabled devices get online with the phone’s 3G network. There is unfortunately no 4G LTE connectivity, which is a major lacking. I had a chance to handle this device about a week ago and I was not too excited. The build quality reeked of cheap plastic and the device lacked a “premium feel.” Reaching out towards the shoulder keys also felt rather awkward and crunched. I also could not help but worry that the selection of PlayStation Suite games would remain limited. Despite the notable branding, this device can not actually play every PlayStation Portable title. Carrying around a device with a dedicated slide-out game controller might also be unnecessary for anyone who does not plan to game all the time. Those still interested can pre-order one online tomorrow on May 19th. The Xperia Play will also reach store shelves on May 26th for $199 with a new two-year contract. This devices does require a $30 monthly data plan to complement a voice package which begins at $40 a month.